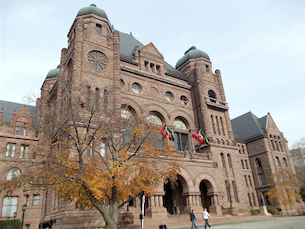 On October 3, 2012, the Legislative Assembly of Ontario gave unanimous consent to a motion to appoint a Select Committee of Developmental Services. 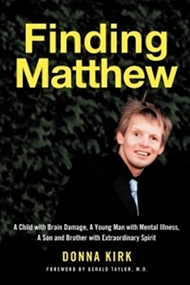 The Select Committee would consider and report to the House its observations and recommendations with respect to the urgent need for a comprehensive developmental services strategy to address the needs of children, youth and adults in Ontario with an intellectual disability or who are dually diagnosed with an intellectual disability and a mental illness, and to coordinate the delivery of developmental programs and services across many provincial ministries in addition to the Ministry of Community and Social Services. Over the months that followed, the Committee heard from more than 140 presenters at 14 public hearings and received over 300 submissions ranging from handwritten letters and emails to reports, articles and videos. At the public hearings, many presenters suggested that caring for people with developmental disabilities is a social responsibility and that developmental services, like health care and education, should be mandated rather than a discretionary social welfare program. The stories of parents, who can no longer care for their sons and daughters due to age and illness, underlined the unfairness and disorganization of a dysfunctional system, mired in bureaucracy and grossly underfunded. The Ministry of Community and Social Services (MCSS) acknowledged that the provision of developmental services in Ontario currently operates as a discretionary program and funding for programming is subject to specific budget allocations. Parents who cared for their sons and daughters in the family home have saved the MCSS countless millions of dollars, yet they described serious barriers to support across the province. Barriers such as: long waitlists for many services, repeated, onerous and invasive assessments, the abrupt termination of children’s services at the age of 18 and school based services at 21, unmet health needs due to inadequate primary and dental health care, and a serious lack of services and supports in northern, remote and First Nations communities. The Committee heard that after struggling to obtain services and enduring waitlists for years, many families are pushed to the brink of disaster. Only when they are forced into crisis are they able to access desperately needed assistance. When that happens, others are bumped further down the waitlists. The March 2014, the Interim Report summarized what the Committee heard. The Select Committee on Developmental Services Final Report, Inclusion and Opportunity: A New Path for Developmental Services in Ontario, was released July 22, 2014. The Committee members shared a conviction that Ontario must meet its responsibility to provide an appropriate level of services and supports to its citizens with a developmental disability and their families. The Committee made 46 recommendations in the spirit of this consensus. Initially, Kathleen Wynne refused to release the Final Report, arguing she wouldn’t be told what to do by an opposing party; a shameful approach and a slap in the face to the Select Committee’s volunteer members who represented each of the three political parties. What made Ms. Wynne change her mind and release the Final Report? Did she remember her promise of a “more transparent and open government”? Is Ms. Wynne’s contrary attitude a gauge of how seriously her government will assess and implement the recommendations in the Final Report, a precise, illuminating document? Is the fate of the 46 recommendations a matter of political will? On page four of the Select Committee Final Report, under the heading No More Waitlists, the Committee states it firmly believes all people have a right to appropriate and timely supports and services throughout their lives. The provision of developmental services and supports should be mandated and waitlists eliminated. Eliminating existing waitlists must be the top priority for government. The Committee notes that this right (to appropriate and timely supports and services) was recognized by the Ontario Legislature when it passed the “Services and Supports to Promote the Social Inclusion of Persons with Developmental Disabilities Act, 2008 (SIPDDA). Recognized but never mandated. July 22, 2014, the day the final report was released, Dr. Helena Jaczek, Minister of Community and Social Services, issued a statement acknowledging the work of the committee. In her statement, Minister Jaczek specified six areas that would be benefited by the $810 million investment by her government over the next three years if the budget passed parliament. The first two suggestions indicate the Minister hadn’t read the Final Report. In the Final Report, the Select Committee expressed frustration by the lack of available, reliable data in almost every area of the developmental services sector. They discovered that there is no coordinated data collection between the many ministries involved in providing developmental services and even where such data is collected, it is rarely shared between ministries. How can Minister Jaczek know, with any degree of accuracy, the number of individuals and families who require help? How could she have found out so quickly when the Committee, after months of probing, found no mutuality existed amongst the 10 ministries that handle the developmental disabilities sector. In fact, the ministries were themselves conflicted as to the number of people in Ontario with a developmental disability. Before any of the 46 recommendations of the Select Committee can be implemented with any effectiveness, the government must discover how many people require services, where these people are located and what service or services they require. And, once this discovery has been made, the government must mandate health care, education, workplace support, social and recreational opportunities, a range of available, appropriate and affordable housing, and respite support, for families and people with a developmental disability and/or a mental illness. The Final Report offers succinct guidelines as to how developmental services in Ontario can be transformed into a cohesive, meaningful program. Will the Wynne government listen? Or will they recoil at suggestions that are not wholly their own? Jim Triantafilou, Executive Director, Brampton Caledon Community Living. If you enjoyed this post, please leave a comment or sign up for email updates in the right sidebar. Hi Donna…thank you for this update. We are presently making some big changes, because my husband really needs to retire. We will be bringing Paul back home. He’s presently doing well. Not sure what will happen in 10 – 12 when we will be nearing our 80′s! Hopefully, the government will get on with the suggestions made by the Select Committee. I think about parents like you every day. Hopefully there will be some meaningful supports in the next few years for families like yours. You have hit the nail on the head regarding the government’s lack of data allowing them to determine the magnitude, location and type of developmental service needs across the province. Not only does the government not know these data, but is has no reliable mechanism in place to capture them! In the words of Peter Drucker, “..if you can’t measure it you can’t manage it..” It will indeed be interesting to see how decisions are made regarding the use of this newly announced funding. “If you can’t measure it, you can’t manage it…” Well said, Alistair. Thanks for your comment. thank you donna for helping bring these issues to light.